Home New York Giants Could New York Giants Surprise Everybody With Alternative Quarterback Option? As the New York Giants continue to do their due diligence with the 2019 QB draft class, it’s becoming clear which prospects they value higher than others, but it’s possible they decide to take an unexpected approach. With Dwayne Haskins and Kyler Murray slotted in as the No. 1 and 2 options at passer, the Giants would be taking a massive risk with any other alternative, unless they find them to be a perfect fit for the offense. After all, Pat Shurmur turned the undrafted Case Keenum into a playoff caliber signal caller in his system. Who could the New York Giants target as an alternative option? One prospect that stands out to me is West Virginia QB, Will Grier. 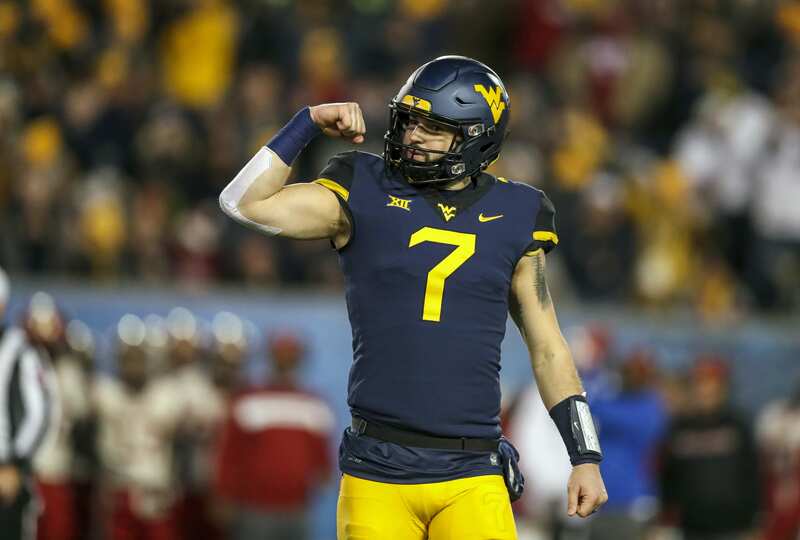 At 6’2″ and 223-pounds, Grier has the prototypical size for an NFL quarterback. Last season, he racked up 3,864 passing yards and 37 touchdowns. The WVU passer is one of the more clutch options coming out of college. Grier met with the Giants last Thursday, according to Aditi Kinkhabwala. NFL analysts have indicated that Grier’s stock could be rising as he “put on a show” at his Pro Day. Adam Shefter predicted that he could be “a riser” in regard to draft stock. The @WVUFootball QB put on a show. Head coach Pat Shurmur attended Grier’s Pro Day, evaluating him for the sideline as he did with Ohio State’s Dwayne Haskins and Oklahoma’s Kyler Murray. Having the de-facto offensive coordinator and head coach of the Giants in attendance bodes well for the lesser considered signal caller. The fact of the matter is, the Giants would likely wait until the second-round to take Grier, as he’s an expected mid-round pick. In a weak draft class for quarterbacks, it could be a solid move considering the defense has-been stripped of talent and is in need of capital allocations.